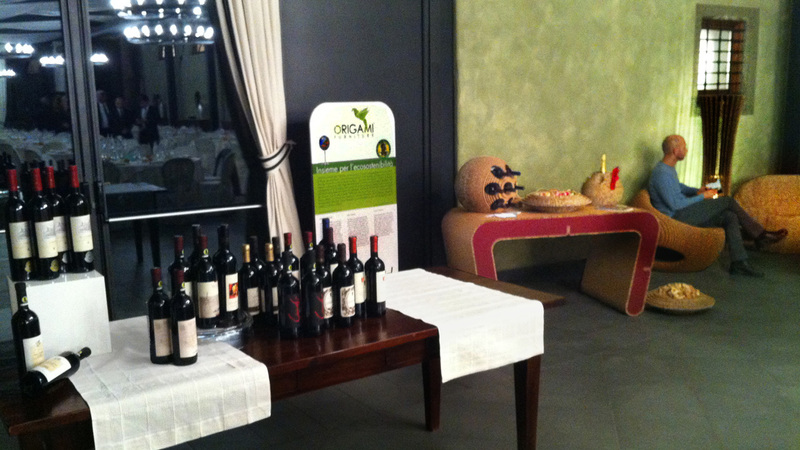 By way of associating the eco-friendly philosophy of its design products with high quality Italian wine and food production, Origami Furniture will participate as a technical sponsor at the International Oenological Wine Competition “World Emotions: Merlot and Cabernet Together” organised by the winegrowers Bergamaschi and by the Tutela Valcalepio Consortium, which will be held from the 17th to the 20th of October 2013 at Villa Redona in Trescore Balneario and the Giuristi Hall within the Palazzo della Ragione in Città Alta, Bergamo. 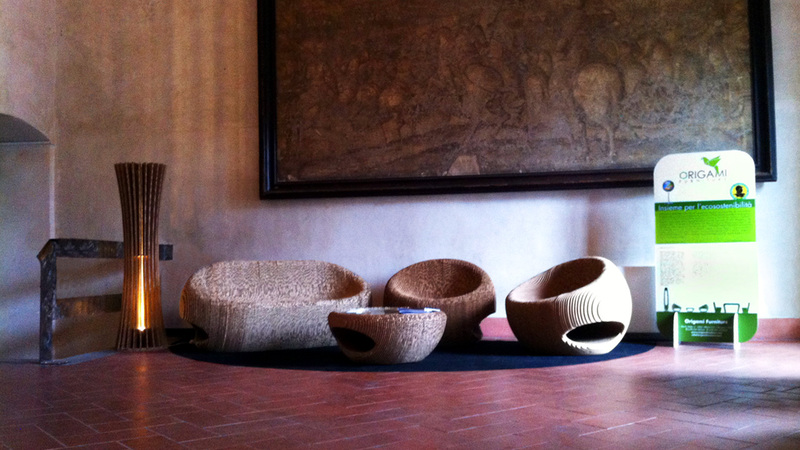 Origami Furniture furnishes the most exclusive environments with its Canyon and Snake Collection chairs and tables made of recycled cardboard. 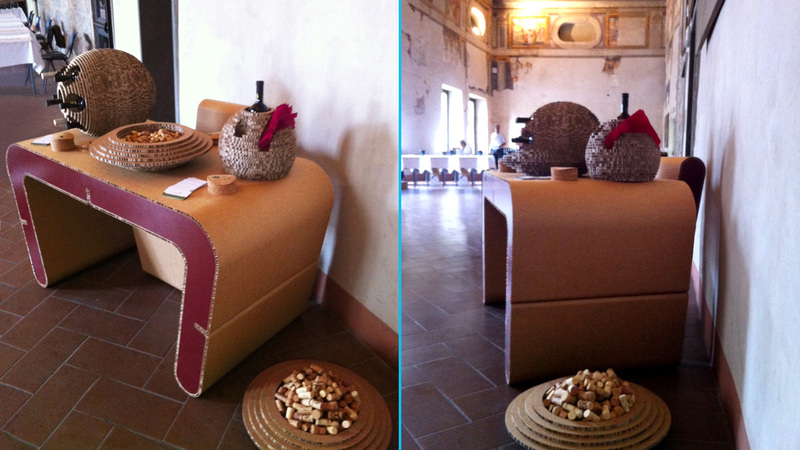 In addition, exclusively for this event, there will be a dedicated wine-set, also designed by the architect Giancarlo Zema, called the Holé Collection. 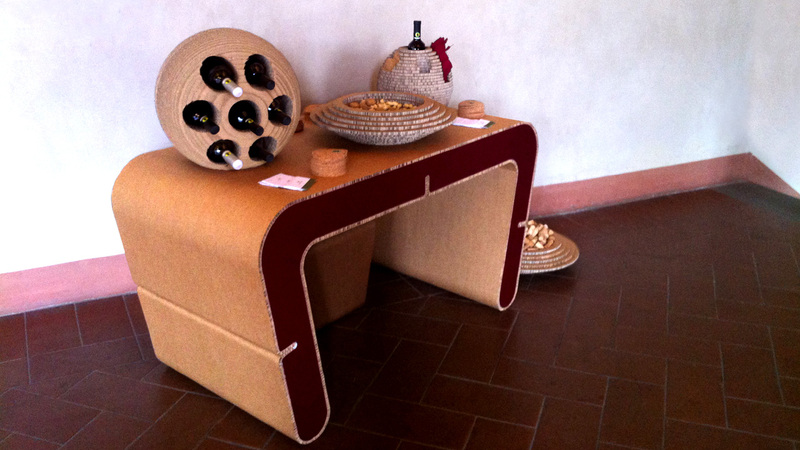 It will consist of a large bottle holder, a small bottle holder and a tray made of recycled cardboard.